With Hurricane Irma is behind us and the cleanup now underway, we have to remember that we’re still in Hurricane Season. 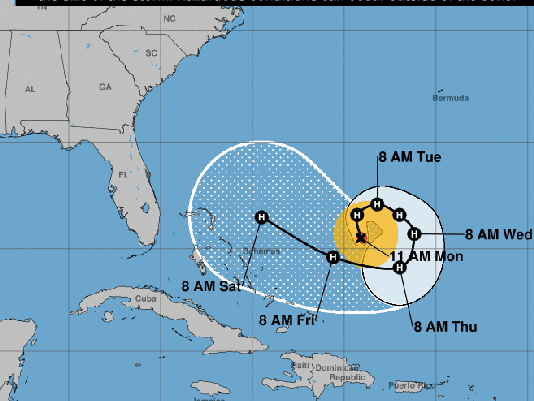 Hurricane Jose, continues to swirl in the middle of the Atlantic ocean, and now, according to the National Hurricane Center, it is showing signs of turning toward the continental US. As of 11 a.m. ET, Jose had winds of 105 mph, making it a Category 2 storm. 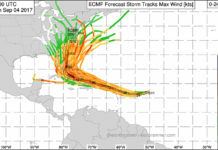 It’s currently unclear exactly when or where Hurricane Jose might make landfall in the US. You can follow all of Jose’s progress on the National Hurricane Center’s website here.